Ciao EyesofRome! We are planning our Grand Tour in Italy and you have been recommended from a friend. 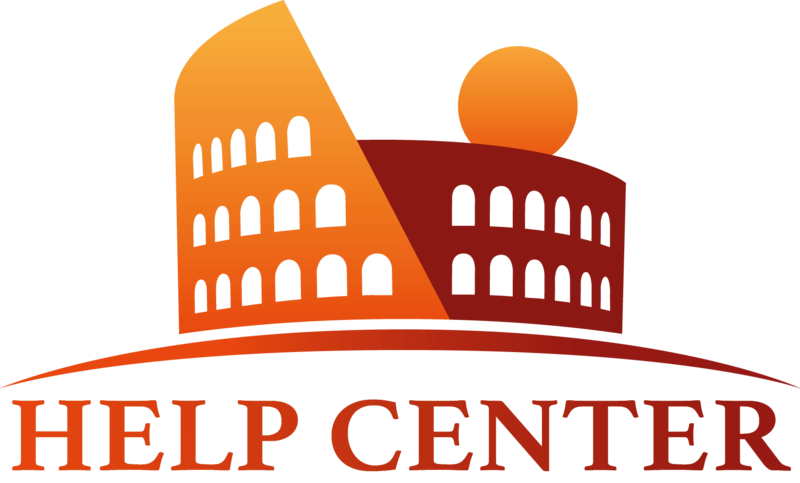 Do you provide only tours in Rome or are you able to help us with our further destinations: Florence, Naples and Venice? Set off on a journey to explore the archeological site of Pompeii- not only one of the most popular destinations in Italy, but also a UNESCO World Heritage Site. Led by your expert guide, you will see this buried city, once a flourishing village located between the sea and the Sarno river, before its famous destruction by the eruption of Vesuvius in 79 AD. Among the many ruins, you'll see the famous Temple of Apollo, the House of Faun, and the Forum. Take an instructive and entertaining tour of the archeological area of Pompeii, followed by a driving tour of the charming Amalfi Coast on this full-day experience. Set off on your optional journey from the Eternal city to the scavi (ruins) of Pompeii, on which your English-speaking driver will keep you entertained with interesting tales and stories. Once in Pompeii- not only one of the most popular destinations in Italy, but also a UNESCO World Heritage Site, you'll see the famous Temple of Apollo, the House of Faun, and the Forum. After Pompeii, you'll marvel at the natural landscape of Positano on the sea, with its little alleys, colorful shops and cafes. You'll also have time to stop for a delicious lunch, gelato and of course, coffee, before heading back to Rome. Take a day tour to visit the UNESCO World-Heritage sites of Pompeii and Herculaneum, and travel back in time accompanied by your expert and entertaining guide. Set off on your journey to the buried city of Pompeii, and marvel at Roman ruins- frozen in time since the eruption of Vesuvius in 79 AD. Admire the well-preserved buildings and streets, intact frescoes and mosaics still adorning baths, shops, and homes. Next, head with your guide to the ruins of Herculaneum, where you'll feel the atmosphere of the distant past, as your guide shares with you the stories of its long-dead inhabitants. Follow your private guide on a trip rich in art, culture and local traditions around the city of Naples. During this evocative tour, you will see the main attractions of the city and its most relevant monuments, while hearing the stories behind each, from your expert guide. Start your walking tour from Piazza del Plebiscito, located in the historic city center, where you'll see several famous buildings that surround the square: the Church of San Francesco & Paola, Palazzo Reale and Palazzo della Prefettura. Your tour continues into the hills above Naples, where you'll see the significant monuments such as the St. Carlo Theatre and the Umberto I Gallery. Your tour will end with a visit to the Piazza del Municipio and the Piazza del Castello, named for the medieval castle, the Maschio Angionino, which is located there. Discover the highlights of Florence and follow an expert and entertaining guide to the most significant places. Start your experience touring around the religious center of the city: admire the Duomo, whose impressive Dome was designed by Brunelleschi, and the Baptistery. From the religious center we will walk to the political center, and enjoy a pleasant stroll through Piazza della Signoria, surrounded by ancient places and by the Loggia, up to the medieval bridge on the Arno River: the stunning Ponte Vecchio. Tour ends in the prestigious Accademia Gallery, where, at your own pace, we will explore stunning artwork, such as the David by Michelangelo. During your stay in Florence, take the chance to visit one of the most impressive museums in the world, the Uffizi Gallery. This museum houses stunning masterpieces and some of the most significant collections of artwork from the Italian Renaissance, such as the famous Birth of Venusand Primavera by Botticelli, or the Annunciation by Leonardo da vinci. This is the tour for those that come to Venice for the first time: we will talk about the winged lion, the story of St Mark being brought to Venice from Egypt, his “golden church”, and then Theodore, killing a dragon, and, of course, when, how and why the Venetians have built a city on hundreds of thousands of wooden poles stuck in the mud of the lagoon. We will visit St Mark’s square, the basilica and we will end at the Rialto bridge on the Grand Canal. Walking across the city --you can choose between the Castello or San Marco districts-- we will also see some of the hidden corners in Venice, understanding everyday life in the city, its problems, what is like to live in such a city and about the “high water” phenomenon and what is on to protect the city and the lagoon. Visit to Murano and Burano islands where you will visit local historic glass blowing shops and lace making shops. Please contact us to provide your group information, if you need a quote! Hi Eyes! I am planning a trip next spring with my husband in Florence and Rome. I saw from your website you do tours in both cities. That’s great! So I have a question especially for Florence. We’d love to see the David at the Academy Gallery, but we rather spend more time walking around Florence then staying at the Museum. Is it possible to see only the David and leave the Academy? Waiting for your answer. Thank you! Hi Alexandra. Thank you for you question. We understand you want to spend as much time as possible in Florence as it is a beautiful city! Since you will be assigned a private guide for your tour in Florence, you can decide how you prefer to navigate the city with him/she. The Academy is a great museum, one of the most visited in Italy, and if you want to maximise your time there, just consider that to reach the David, you have to walk through a path inside the museum and that takes some time. If you drop us an email at info@eyesofrome.com, we can go in details directly with you and give you the best options for your day in Florence. Hi, great suggestions. What about a tour only of the Academia and Uffizi? is it possible to do everything in 3 hours? Hi Gerald, nice to meet you! It is very nice to hear from an art lovers like you. It is certainly possible a tour of the main museums of Florence - Uffizi and Academy. However we highly recommend to do the tour in minimum 4 hours to have the best experience of both the museums. There is also a 15 minutes walk to consider from one museum to the other. You can send us an email at info@eyesofrome.com and we can go more in depth with your query and give the best option on how to plan your tour. Many thanks for reaching out Eyes of Rome. I just got back from an amazing day trip to Pompeii and the Amalfi Coast (Positano and Sorrento). Wow! THANK YOU EYES! What a beautiful country!! Our driver Franco (so funny!!) picked us up at our hotel in Rome, and got us safely to our first stop: the ruins of Pompeii. Our guide Julia was waiting for us and we got started right away. Tickets were included, so our guide had them ready and we went right in (no line!). 2 hours of amazing history later, we were back with our driver who got us to a delicious pizzeria for an amazing lunch. After lunch, we went for a nice drive a bit further south- first to Positano, an amazing little village on the coast where we stopped for coffee and a little shopping, and then on to Sorrento where we took many photos and finished off with some gelato. Technically, Sorrento was not part of the original itinerary, but we were enjoying ourselves so much, we extended our tour to include this stop. All in all, this trip was highly worth it. VERY beautiful, super easy, even educational. My wife and two daughters were very pleased as well! Hi Eyes! I was looking at your Amalfi Coast Positano and Sorrento tour, but I see this is a round trip from Rome. We stay at a hotel in Sorrento but love to have a guided tour of the area. Do you provide this tour starting from Sorrento? And if so, I assume the price will change since we do not ride back and forth from Rome.. Looking forward to hearing back! We can't wait to come to Italy! Thank you for your interest in our tours! I am happy to confirm that we are able to completely customize your tour and arrange a Sorrento-based itinerary. 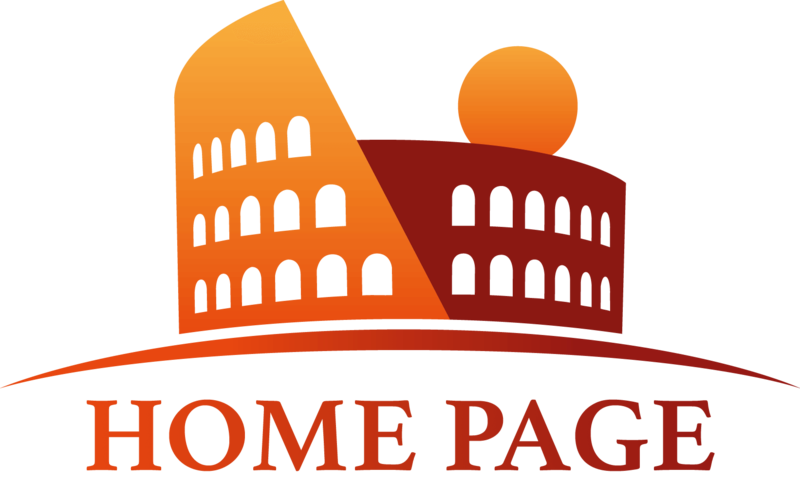 Of course cost and tour duration will be different from the product we are selling online, which is a round trip to/from Rome. You are welcome to send your inquiry to our Tour design team (info@eyesofrome.com) and we'll be following up with a tailor-made itinerary, schedule and quotation. Please do not forget to let us know how many people are in your party and your preferred tour dates! My husband and our 3 kids will be visiting Rome in June. My family is originally from Caserta and a visit to the palace of caserta is our must! We will depart from Rome and end up in Naples visiting Caserta in between. Is this possible? And how long will the tour be and price? Thank you! Ciao! I saw you have a tour going to Siena. Is that a trip from Rome or from Florence? Also, we will be visiting Italy the first week of July where the palio takes place. Do you recommend to visit Siena during these days? This full day tour covers either the Best of Naples highlights and a visit to the wonderful Reggia di Caserta. We can definitely accommodate your request for a private driver transportation from your accommodation in Rome. You will then meet your guide on site while your driver will drop you off in Naples at the end of the tour. You can consider this is going to be a 8/9 hour tour approximately, including the ride from Rome. In order to send you a customized quotation, please send us an inquiry at info@eyesofrome.com not forgetting to specify your preferred tour date. Looking forward to hearing form you!